LAWRENCE, Kan. -- University of Kansas students are being offered buttons through the school’s library system meant to make their preferred gender pronouns clear. Various University of Kansas Libraries employees now sport the square-shaped pins, with extra ones also doled out to interested students, the Lawrence Journal-World reports. 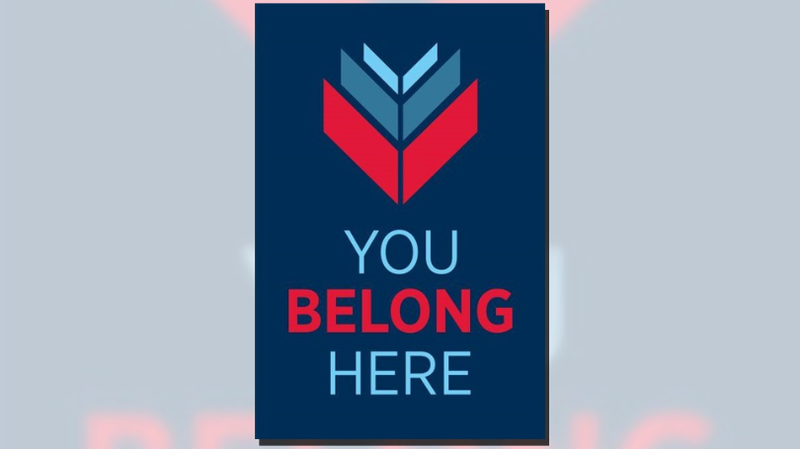 Library leaders say the buttons are part of the library system’s “You Belong Here” marketing effort meant to lure undergraduates and ensure that they feel welcome, including transgender students. Expressing gender identity through buttons or other means has cropped up elsewhere in the interest of inclusion. Buttons were given out at the start of this semester at Vermont’s Champlain College, home to a new Women and Gender Center. Students and teachers at the University of Vermont also have worn name tags and made business cards with their preferred pronouns. The University of Michigan this semester began letting students designate their own pronouns that will be reflected on class rosters. At Kansas, library workers can choose whether they want to wear them, said Rebecca Smith, the library system’s chief of communications and advancement. Extra buttons are available at some library counters, and the libraries have reordered them at least once to keep up with demand, Smith said. “We’ve told all of our front-line employees, if a student asks, give them a button,” Smith said. “A commitment to support the voices of marginalized people is part and parcel to the libraries’ commitment to the values of the First Amendment,” added Kevin Smith, the university’s libraries dean who is not related to Rebecca Smith.